dB Control offers a new dB-4150 smart microwave power module (MPM) consisting of a solid state amplifier and a vacuum power booster. It is designed to provide 100 Watts pulsed/CW RF output power, and operate in the 6 to 18 GHz frequency range. The dB-4150 utilizes power supply topology with exclusive low-noise, and high-efficiency designs for operation in the RF signal path. 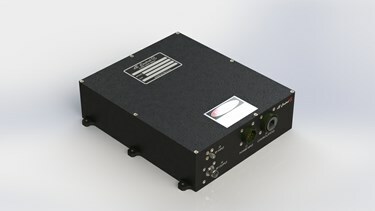 This MPM also incorporates a high-speed modulator for pulse modulation of up to 10 KHz to CW. Ideal applications for this compact, conduction-cooled MPM include those in extreme military environments such as electronic countermeasures, and electronic warfare simulations. For more electrical, mechanical, and environmental applications, download the datasheet.